If you ask me, everything is pointless lately. I guess they need to put up obvious signs out there, considering there are SO MANY stupid people in the Country (Present company excluded, of course). 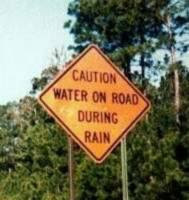 hahahahah water on road during rain.. wow... uhhh no duhhhh? hilarious!! 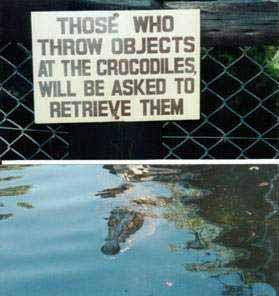 some idiot may just throw something in the alligator pools just TO retrieve them.